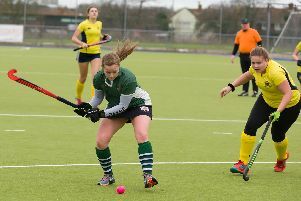 An impressive performance saw City of Portsmouth continue their good form as they beat Southampton University on the road. The match started with a high intensity both teams looking to play a fast-paced game. City forward Stu Avery opened the scoring with a well-struck first-time effort and City entered the break with a 1-0 advantage, writes Luke Parsons. The second half began similarly to the first but City’s patience was rewarded as Avery got his second, deflecting into the net from a well-worked set piece. City continued to create a flurry of opportunities and their opponents never looked like scoring but they were unable to net for a third time. Man of the Match was awarded to Stu Avery. 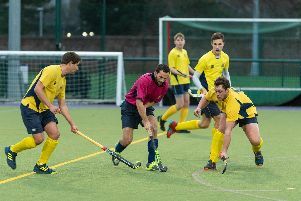 City men’s second team lost 3-2 at home to Haslemere. Ben Hayward was awarded man of the match for his display of defensive strength. The City third team were ruthless as they won 9-0 against Yateley fourth team. Paul Barnes opened the scoring midway through the first half. Then captain Pete Wingate added a second a few minutes later but that was to be it for the first half. City turned up the pressure in the second half and two goals from man of the match Caleb Rowland, plus two for Jack Boswell and goals from Jacob Shucksmith, Alan Ball and Owen Barnes made it nine to round off an outstanding team performance. Meanwhile, City ladies firsts emerged victorious as they beat Aldershot & Farnham 5-1. Katie Spooner scored twice, with Clare Hamson, Callie Moore and Emily Butcher also netting. City ladies’ second team faced Eastleigh at home. The visitors struck the first goal. Then the City midfield took command and they continued to work hard and were rewarded for their efforts as Danni Francis netted the equaliser. City created good opportunities in the second half but were unable to capitalise. Their opponents were more clinical and netted their second and final goal of the game to win the match 2-1.